Keeping New England Dry Since 1978. 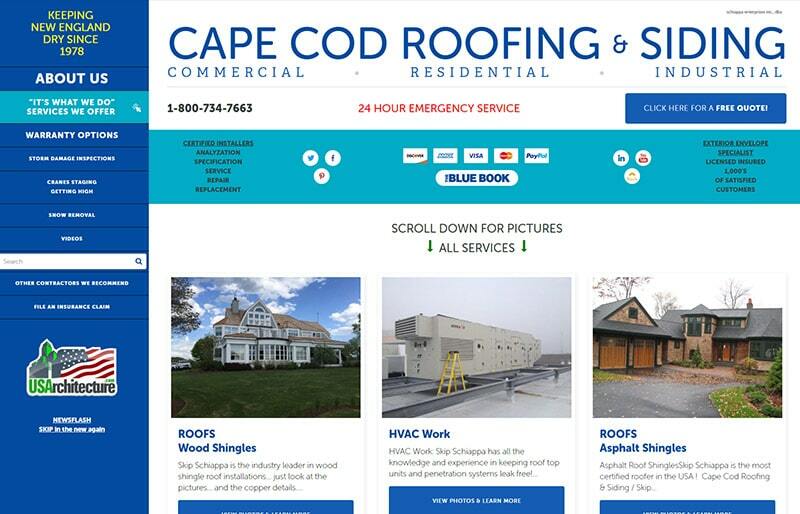 Cape Cod Roofing & Siding is a residential, commercial, and industrial exterior envelop expert and general contractor, servicing clients throughout the New England region and the islands since 1978. Some of their many services include roof installation and removal, snow removal, storm damage inspections, gutters, trim work, and much more. They also offer 24-hour emergency service, perfect for those living in New England. 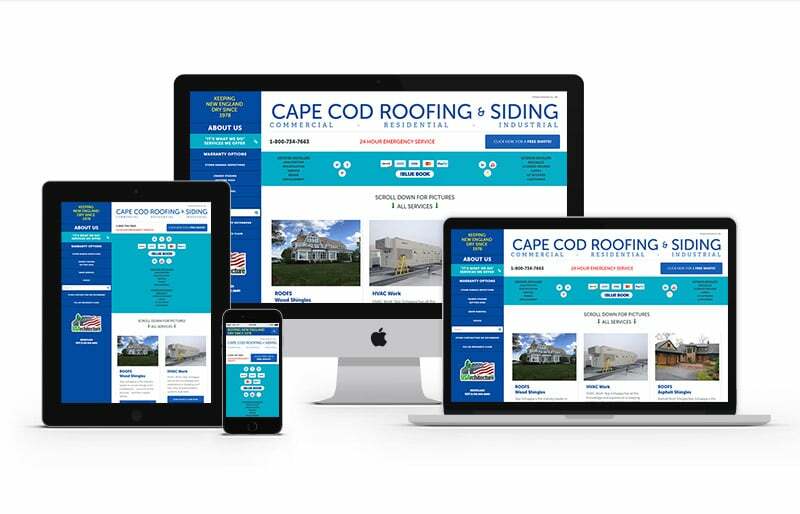 GoingClear Interactive designed and developed the exact website Cape Cod Roofing wanted. We created a Home page landing video based on the clients exact specifications. We installed the Chatbot plugin so visitors can chat while surfing the site. There's also a custom left-hand navigation with Search functionality and complex Portfolio pages featuring a lazy-load masonry style gallery images with pop-up slideshows. The final design and development varies from our originally proposed design direction, but in the end, weÔÇÖre happy to create the vision our clients have for their own business website.